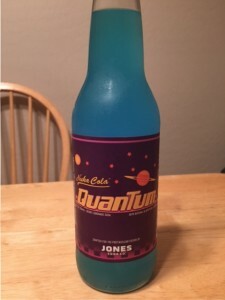 With the release of Fallout 4, one of the most anticipated games of 2015, came rumor of Jones Cola releasing a special limited edition soda based on the games Nuka Cola Quantum. The rumors proved to be true, Target was the only store to carry the uber exclusive Wasteland beverage. Unsurprisingly, the soda flew off the shelves. In fact, when I asked the Target team member if they had any left or if they were getting any more in, I was laughed at! He told me that basically when the game released they were not told when they were coming in, how much they’d get or if they would get more. In fact, there was even a limit placed on how many employees could buy and they were not allowed to hold them. 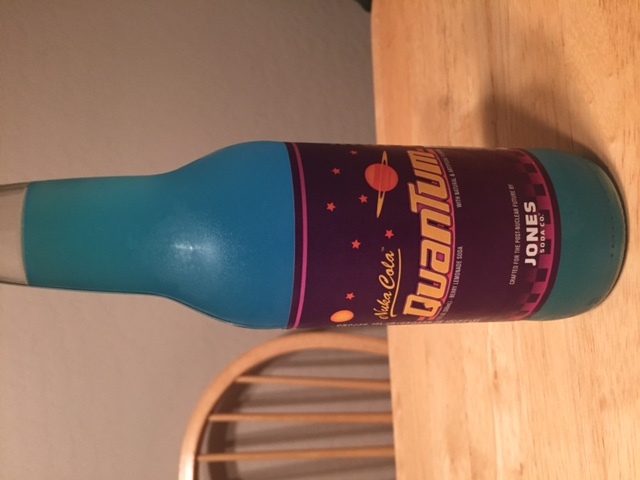 “I was lucky enough to be one of the few people who got their hands on a bottle of the the Nuka Cola Fallout 4 soda. Let’s start off with the bottle. The bottle is super appealing. It has the famous logo on it, and even has some fun stuff on it. 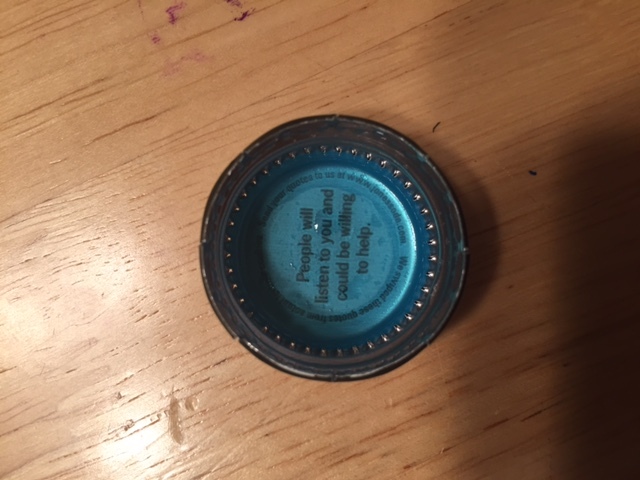 For example the bottle says “Save your Caps” which is the currency in the game. 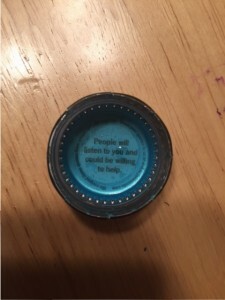 Speaking of caps, what’s cool about the cap of the bottle it tells you a fact or tip about the game! Usually when you see a soda that is advertising a game. The bottle looks cool, but the soda it self doesn’t taste good. Well that is different with this soda! It has a cool bottle and a great taste as well! The flavor is a Raspberry Lemonade soda! Which if you want a good soda. I recommend this one. Now for the cool part of the soda. If you shine a light under the soda it can glow! That is the first thing I did! We really appreciate Bobby taking the time to share his thoughts about Nuka Cola Quantum (Also to Heather for allowing us to put her son to work)! Hopefully Jones Cola will pull more of these out of the Vault and we can try them for ourselves!